This state-of-the-art Brock storage and handling system project was concepted, designed, constructed and brought on line in 2016 and provides easy access to animal feed. 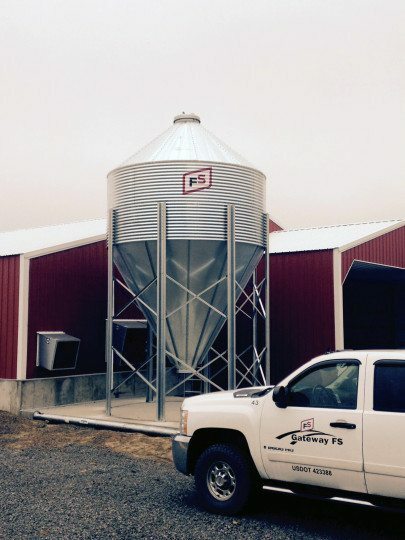 With a twelve-foot diameter and sixty-degree auger, this bin is capable of storing over twenty tons of rabbit pellets! Unique to this system, the feed auger runs through the side wall and into the building for easy feeding. The uniqueness of this project is one example of how the FS Construction Services team can take your building challenge and turn it into a building “reality”.